You've spent more than just a respectable amount of time on exuding your inner-most 'dapperness' and ensuring your looking damn handsome. Just as you're about to head through the door for that all important meeting or that hot date you look down and notice your once gleaming pair of dress kicks are looking weather-beaten and gnarly. Normally this is a bit of a disaster situation which may end up involving your saliva and your jacket sleeve on a wing and a prayer. 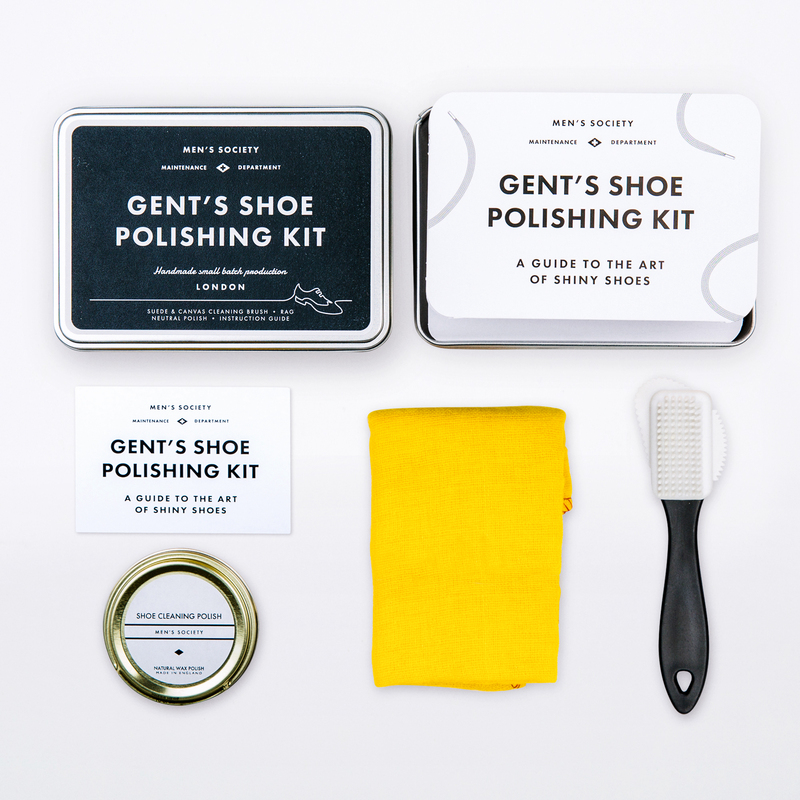 Now you no longer have to worry, with this tin you have everything you need to maintain perfect looking shoes all together in one handy kit.